Harajuku girls sporting bold checkered streetwear styles while out and about on the street. 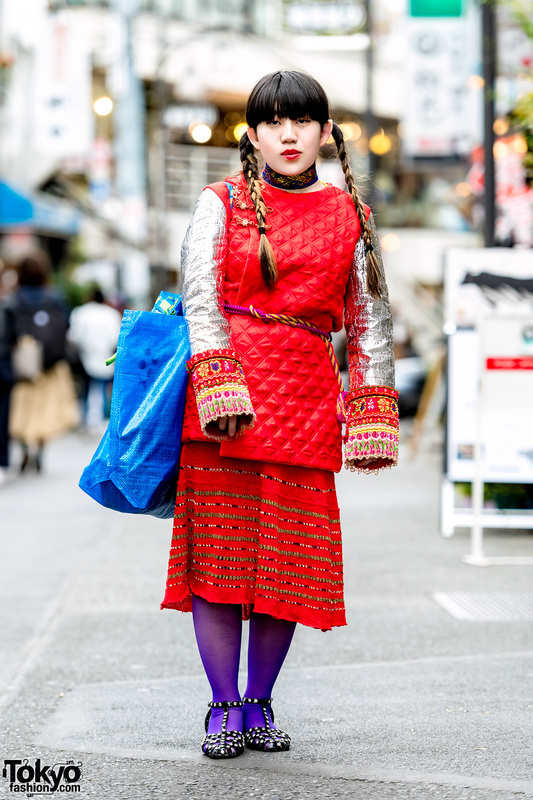 Harajuku student sporting twin braids and wearing a handmade & vintage street style. 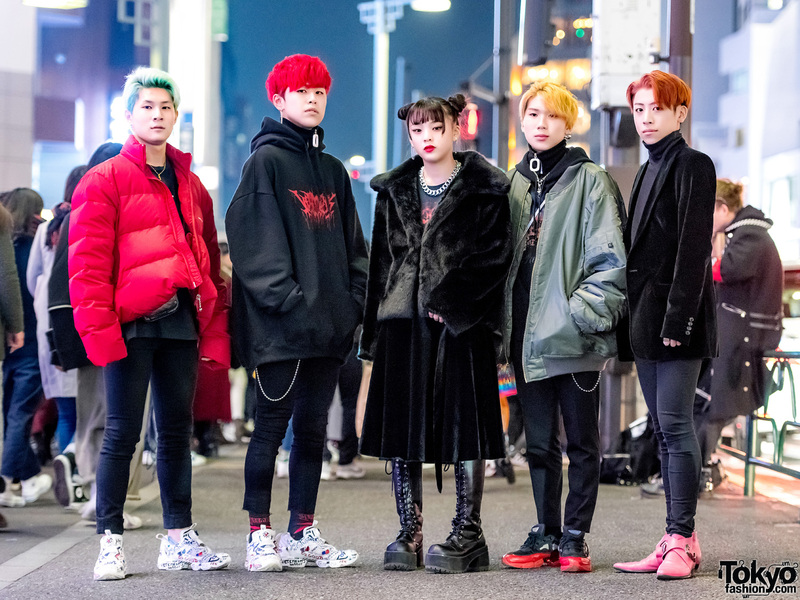 Harajuku teens in black streetwear styles while out on the street one evening. Harajuku duo showcasing vintage street fashion with handmade accessories. Harajuku girl in all black fashion with “Romantic” sweatshirt, midi ruffle skirt, platform lace up boots, vintage leather bag, and spiked leather cuffs. 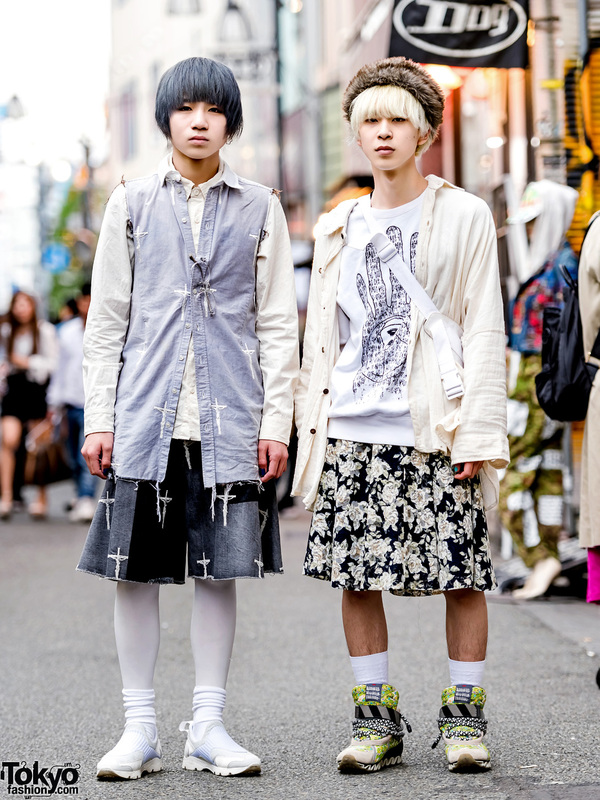 Harajuku duo in monochrome fashion with vintage skirt, corset and long sleeve lace top, platform sandals, white button down shirt over t-shirt, ripped skinny jeans, platform creepers and silver jewelry. 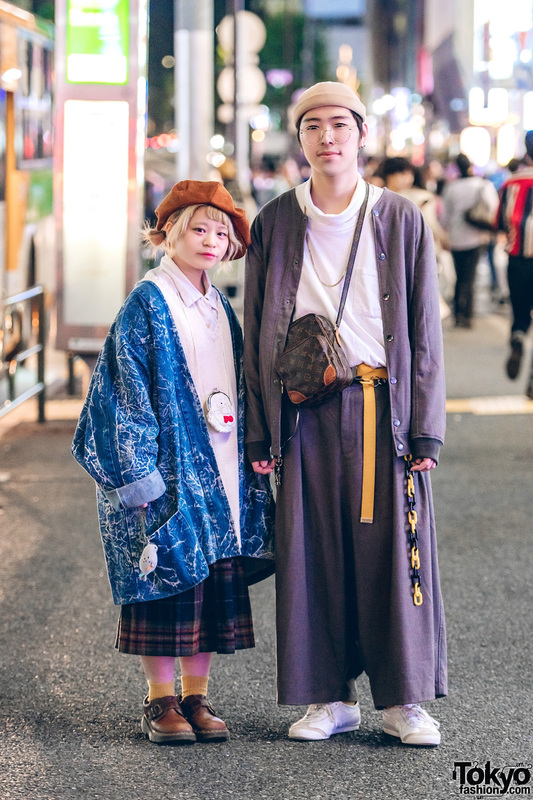 19-year-old Japanese fashion students wearing pastel vintage and handmade fashion along with Tokyo Bopper footwear on the street in Shibuya. Vintage maxi skirt with scarf, floral tapestry handbag, and Vivienne Westwood x Melissa heart heels on the street in Harajuku after dark.